Black apron with a Featherweight Ornament stitched on it. 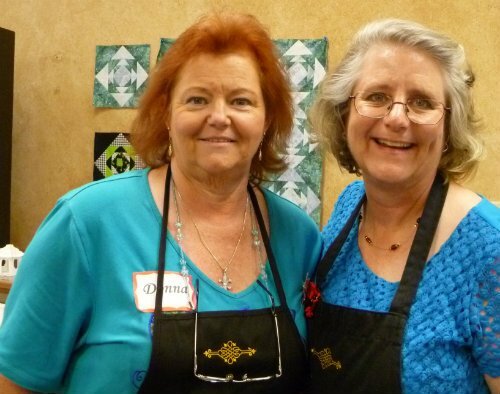 Nova and Karen are wearing these aprons during the Featherweight Maintenance Workshop on Nov. 2, 2013. The style you will receive is like the one Karen is wearing. These are great for wearing when you are working on your machine. Or, to have an extra to slip on when you have just a few minutes that you could sew, but are all dressed up and don't want to get thread snippets all over you.